Of course, what we “see” is dependent upon our state of mind. Having been watching lots of fairy tale cartoons, her first guess was that I’d drawn a dragon and a dinosaur. Her second guess, of course, was correct that it was a giraffe and rhino. 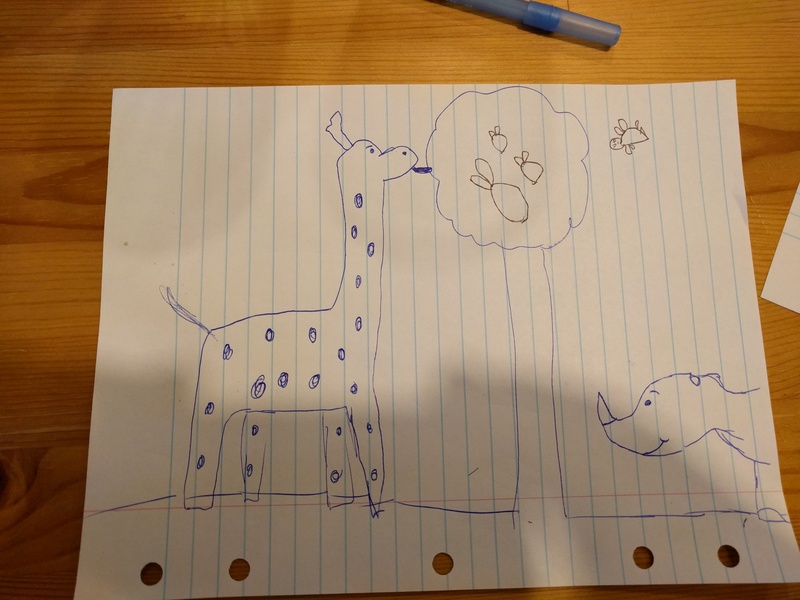 She then added a bird and some apples for the giraffe.